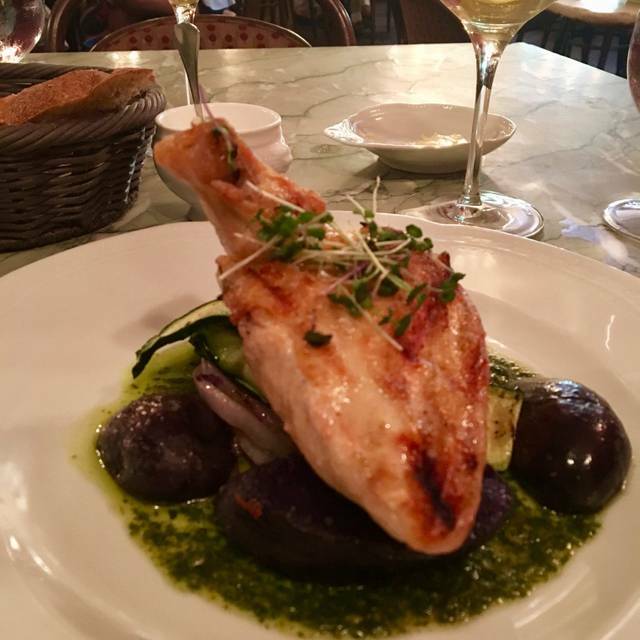 Tony Foreman and Cindy Wolf’s uptown eatery features classic French Bistro fare, an extensive, award winning French wine list & a lively Parisian atmosphere. Private party menus are available for larger groups. Please contact the Private Party Coordinator for additional information. This was our second trip to Petit Louis Bistro and we were with friends. We shared a couple of appetizers and each had different main courses - all of which were excellent. The level of service was excellent as well, including our waiter, wine specialist, and general constant attention to our needs. 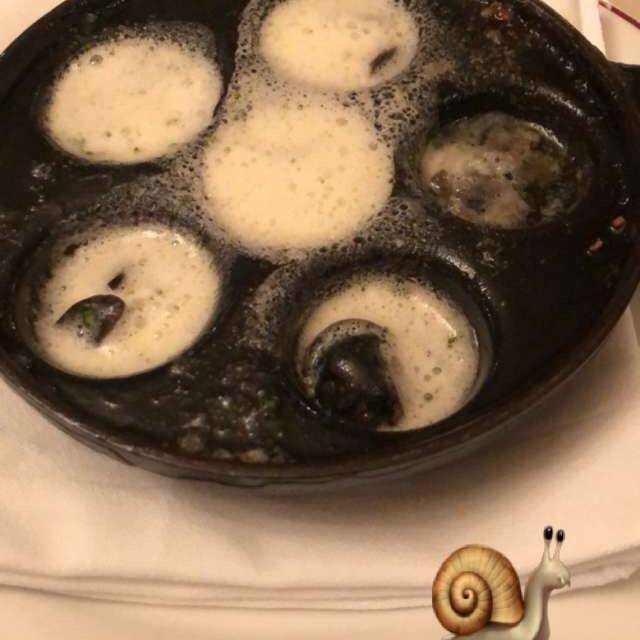 We even convinced our friends to try the Escargot and I think they are new fans. Can't wait for the next trip to our favorite french restaurant. Perfection! We were spoiled by all wait staff. The food was superb, and the atmosphere convivial! The staff was excellent! Amazing how they moved like clockwork while the restaurant was so busy. Food was excellent! We had the French onion soup, veal and duck. Wine recommendations were perfect! Dessert was chocolate mousse and crepe brûlée. Delicious! We left full with left overs. Now, it’s my favorite restaurant and I had only been there twice before in 30 years! Outstanding as always. Fantastic food and service. Unrivaled in other restaurants we visit. Birthday luncheon. You are always a favorite because you maintain such a high level of service and menu. Excellent staff assures that you will be happy and want to come back. It works! All staff should be commended. Birthday Celebration. Always the best! Petit Louie always impresses. All around great experience. And the martini that almost overflowed the glass made my day! I love the place and my family does too. It’s just too loud sometimes:( but everything else is excellent! Great food and a wonderfully casual atmosphere. Many thanks to all, especially to Emily! We invited friends to join us and wondered why we haven't been back in so long. The place is so cute and cozy. It felt like we were out of town in a cool city, perhaps France? I'm sure that was their goal. Anyway, the prices on the menu seemed reasonable. We said to ourselves, "we are definitely coming here more frequently"! The items sounded delicious, too. The issue came when our food arrived. Nothing was wrong and we had no reason to complain, however, the portions were super small. I ordered the Sweet Breads and the Magret Duck, both of which could have been cooked a little less done. 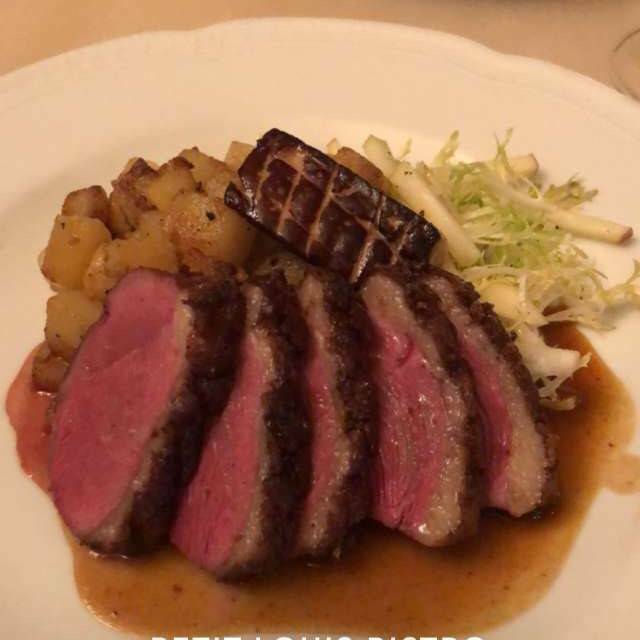 The waiter said the duck would be prepared medium rare unless I wanted it cooked more. I told him, medium rare was exactly how I like it. I would say it was more medium. I ate it and it was perfectly adequate. I just expected more. More flavor and quite honestly, more food. I felt a little embarrassed because I lead my friend to get the Skate. He is a very tall man and I imagine can eat a decent amount of food. The amount of food on his plate was so small, I worried we would have to stop somewhere for dinner on the way home. I will say the service and atmosphere was outstanding. So...if you are a small portioned eater, like we all should be, this is a great spot. The onion soup was deliscious as were the mussels, tender and not over cooked in a very tasty sauce. My companion had the “civilized lunch”, wonderful value. 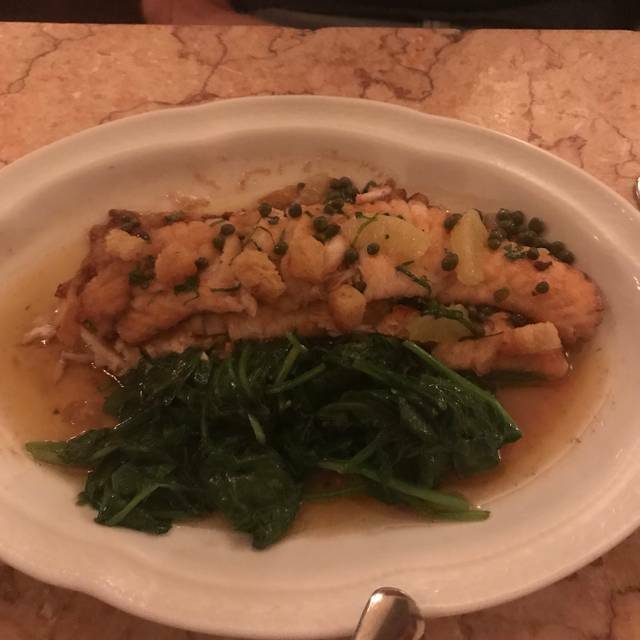 The skate meal I had last month was probably the best fish dish I have ever had. The same meal I had this time was one of the worst! The fish was over cooked and the sauce was tasteless and had separated. As alway, loved our dinner at Petit Louis! From escargots to Duck Confit everything was perfect. My favorite restaurant in Baltimore. Love everything on their menu, but especially the trout and the steak frites! Petit Louis is consistently excellent. Another great meal with great service and ambiance. Brunch here is always a treat. Merci. As usual everything was wonderful except for the loud people at the next table. They were then joined by people from the bar and it got louder. They were not bad people, just loud. Always a wonderful time at Petit Louis! We were fortunate to get a last minute reservation. The food was amazing! 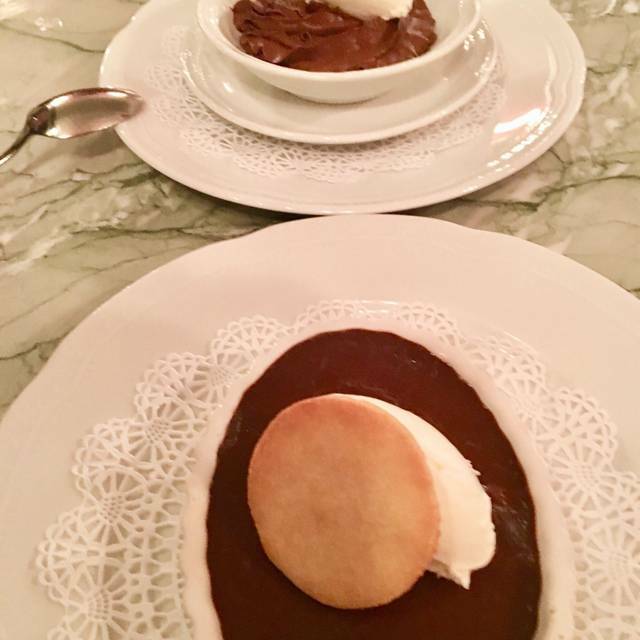 French Onion Soup, short ribs, cheese course and dessert - it was one of the best meals I have had in recent memory! 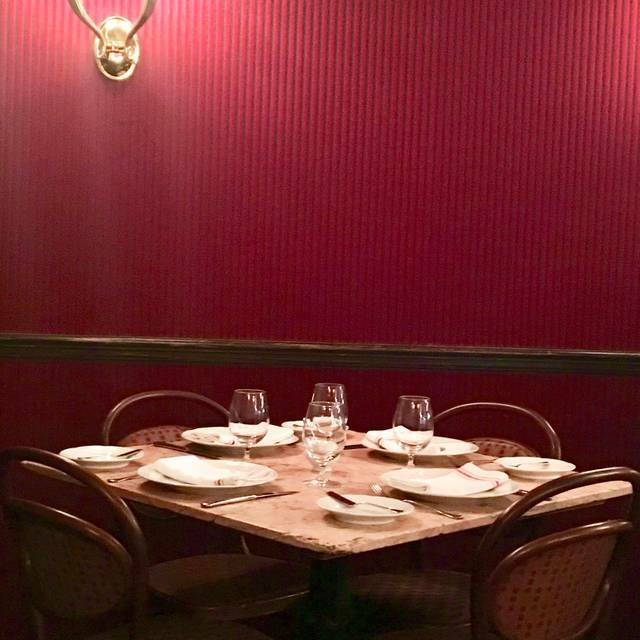 We had house-made pate, onion soup and snails for hors d'oeuvres and veal flank steak and duck confit for principaux paired with several different glasses of various reds. Every single dish was delectable in its own right. Cindy and Tony (owners) know how to make you happy. Our server Gregory was wonderful: polite, pleasant, knowledgeable, readily available yet completely unobtrusive. There was no background music, but it was restaurant patrons who created a perfect level of background chatter that was not too loud and not too quiet. 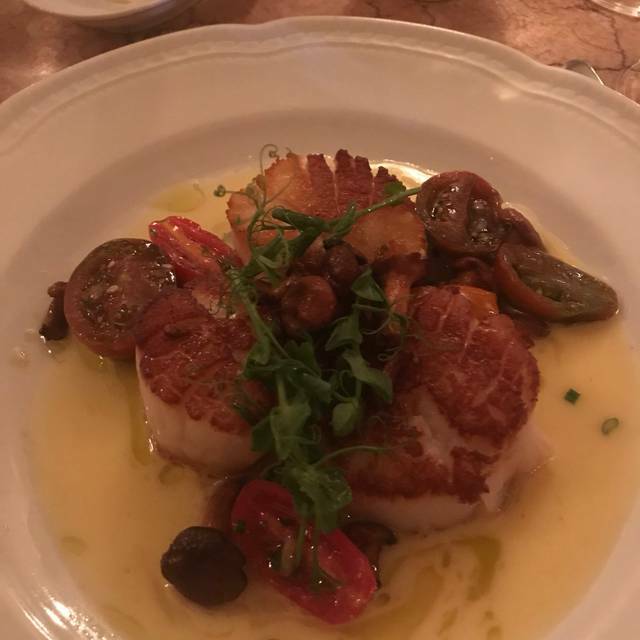 Needless to say, we really enjoyed our experience at Petit Louis and have already recommended this place to some of our friends and family. We love going to Petite Louis! Great food, great service, great overall! We always eat here before going to the symphony. The service is great. The food is aiwats prepared just as you like it. Wonderful food, beautiful place, great service. Noise level was much better than previous visits. The only bad thing I can think of about Petit Louis' is the noise level on a busy night. That's the only reason for not giving ambience the highest marks. Other than that, it's a fabulous place with wonderful food. I've never had anything less than a perfect meal, eating here. My wife and I come here for basically all of our special occasions, as it's our favorite restaurant. Zero complaints. 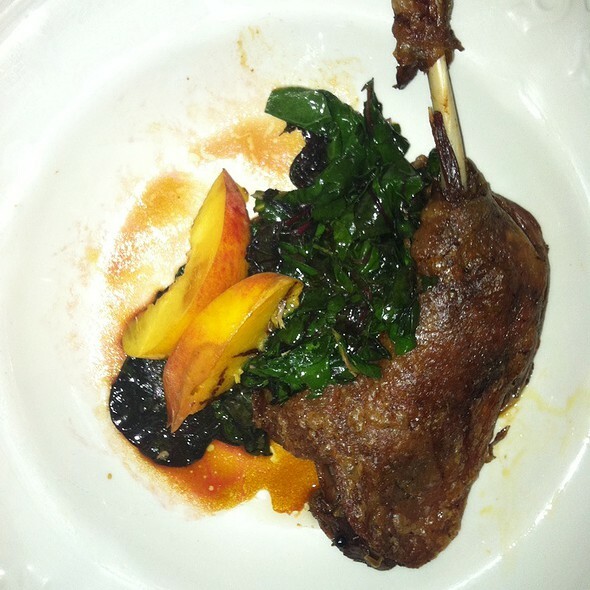 Try the Magret De Canard, it's incredible! My Sunday brunch experience was very interesting, but not in a good way. 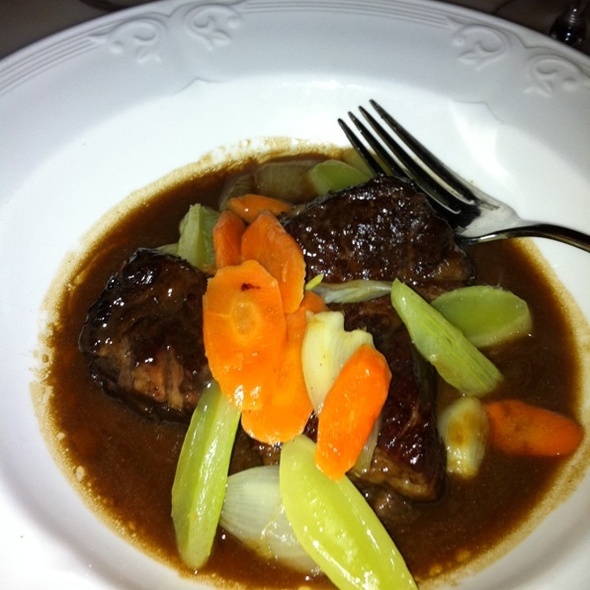 It was not my first time dining at Petit Louis, yet experience was very disappointing this time. First waiter was very nice (to my neighbors), had conversation explain a menu, then turned to my table pore glass of water (not saying a word) and disappear. Second was a young lady, extremely short in dialogue, did not tell us about daily specials, bring two cups of cappuccinos with 10 min difference (ordered at the same time). I finished my dish first (my plate was empty) and my friend still enjoyed her soup, when third person came to our table and asked if she is done when she was literally with a spoon in her mouth! He did not even look at my plate that was clearly empty! Why?? Great evening. Food was incredible and the service was impeccable! We will be back. Thank you for making my husbands birthday celebration extra special. Second visit. This time for husband's birthday. Food was exceptional. My husband felt it necessary to mention that the coffee equipment was not being cleaned properly, as one could taste the bitter coffee oils left behind. The constructive criticism was not well received. "I rinse it myself every evening!" One doesn't rinse coffee oils away. They are tenaciously stubborn to remove and need to be steamed away. This was a minor complaint in an otherwise heavenly visit. It wouldn't have been worth mentioning had the food not been spectacular. By all means go! But if you're picky about your coffee have the dessert wine with your mousse! This was my husband's and my first time at this restaurant, and we will definitely be returning. The ambiance is wonderful--felt like we were in France. It was our anniversary and they sat us at the corner table that felt intimate. My husband had escargot appetizer which was enjoyed, but we both agreed my Gravalx house-cured salmon was a dish we would have again. The cassoulet was a special, inspiring and very well done--truly the best I have ever had. We both had desserts, chocolate mousse and profiteroles, both worth ordering. If you like French cuisine, this is a place to go! I love, love, love this place. Always the best experience. My all time favorite restaurant.